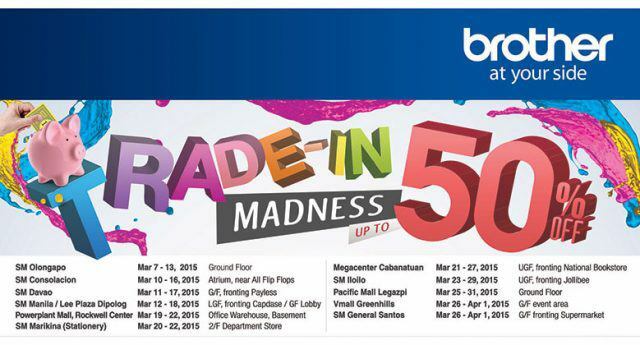 Good news to those who missed out on Brother Philippines’ trade-in roadshows last February. The leader in home and business IT peripherals is currently on a 12-mall nationwide roadshow that started last March 7 and will last until April 1, 2015. 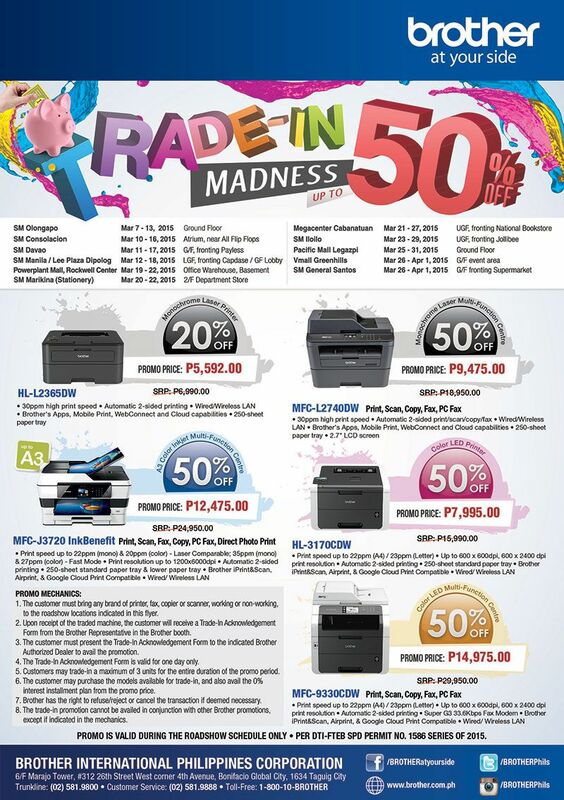 Brothers’ Trade-In Madness features top-of-the-line Brother Multifunction Centers offered for trade-in for as low as P5,592. For more information on the Brother Philippines Trade-In Madness, see flyers and print ads, visit the Brother Philippines official Facebook page www.facebook.com/BROTHERatyourside, and follow @BROTHERPhils on Twitter and Instagram. Per DTI-FTEB SPD Permit No. 1586 series of 2015. Next articleTag Heuer collaborates with Google and Intel to produce luxury android watch.